Gorham Cooperative Preschool, 28 Ballpark Road, will host its annual open house with a free community Easter egg hunt at 10 a.m. Saturday, April 13, at Robie Park. The open house at the park features arts and crafts. The GFWC Gorham Woman’s Club in partnership with the General Federation of Women’s Clubs donated 20 Dr. Seuss books each to Baxter Memorial Library and the North Gorham Public Library. The donations were in conjunction with Read Across America Day on March 2, a nationwide observance marking Seuss’ birthday. Gorham Woman’s Club donated the books to continue its long promotion of reading. The federation is a “unifying force, bringing together local women’s clubs with members dedicated to strengthening their communities and enhancing the lives of others through volunteer service,” a press release said. Maine author James Hornor presents his new novel, “Victoria Falls,” at 7 p.m. on Thursday, April 11, at North Gorham Public Library, 2 Standish Neck Road. Copies of the author’s book will be available for sale and signing. The Bureau of the Fiscal Service reported on April 4 that the U.S. public debt was $22,028,147,661,589.79. 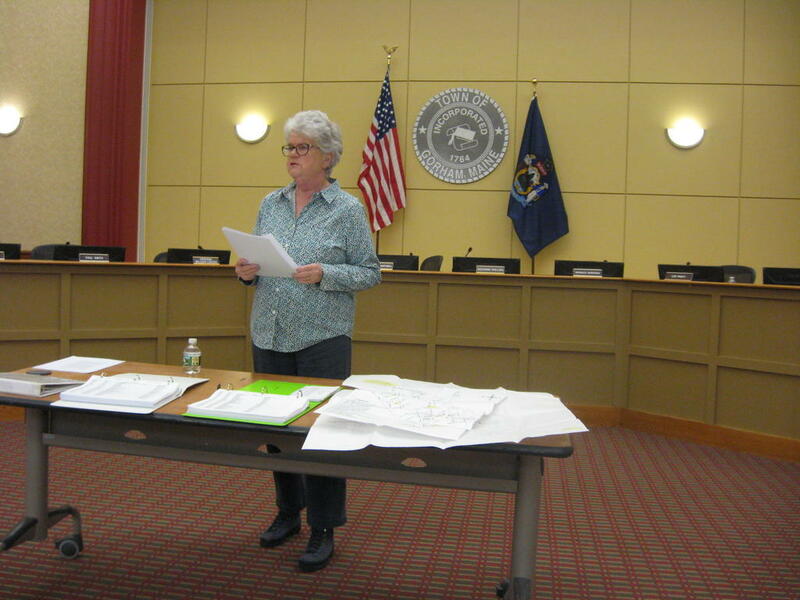 Brenda Caldwell, retired town clerk and a former Town Council chairwoman, presents histories of town cemeteries at the Gorham Historical Society meeting Monday.